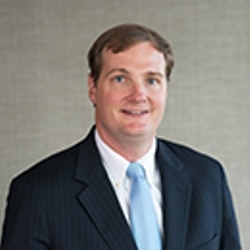 Mr. McElroy joined LCG Associates in 2009 and is a Senior Vice President. His client relationships include family offices, foundations, endowments, and investment platforms. In addition to lead consultant responsibilities, Cam conducts capital market and asset class research, investment manager due diligence, and special topical studies. Cam previously served as a Relationship Manager with Atlantic Trust Private Wealth Management, where he was responsible for advising, constructing and maintaining customized investment solutions for high-net-worth families, foundations and endowments. Also during his tenure with Atlantic Trust, he gained valuable experience trading equities, designing performance reports, assuring firm compliance with regulators and evaluating investment managers in both traditional and alternative asset classes. Cam began his career as a Junior Financial Analyst with Farr, Miller & Washington in Washington, DC. Cam is a CFA charterholder and a member of the CFA Society of Atlanta. He is also a Chartered Alternative Investment Analyst (CAIA) Charterholder. Cam holds a B.A. in English from Vanderbilt University.